The stature hence usage of international legal norms in human rights adjudication in Kenya has transmuted since 2010. 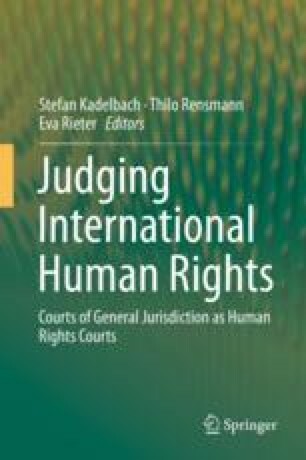 Even though prior to 2010 Kenya had ratified legion international human rights instruments, textual silence on the place of international law in Kenya’s legal system created some uncertainty on the legitimacy of the use of (ratified yet undomesticated) international legal norms in the adjudication of human rights claims. The legitimating legislation on sources of laws in Kenya, the Judicature Act, did not make formal mention, or recognition, of international law. Kenya was considered a dualist state, a country whose use of international legal norms was predicated on their domestication, and its courts were predisposed to use international legal norms only to the extent that they had accordingly been domesticated. Consequently, to be considered part of textually sanctioned use, international law required to be afforded a statutory status through a parliamentary enactment. This position has however changed since the enactment of a new Constitution in 2010 and despite some controversy over the place of international law in Kenya, the use of international norms has been widespread as this chapter is devoted to establishing.